What Is It? 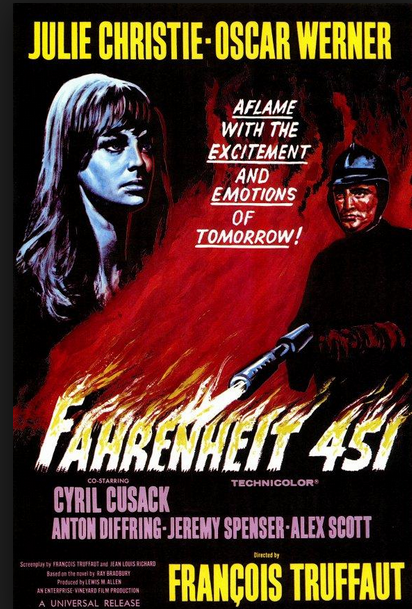 : François Truffaut does a fine yet icy job with Ray Bradbury’s dystopic novel about a society in which all books are banned and burned. Although the film has received mixed reactions throughout the years, I continue to admire it as an interesting marriage of sixties style-design and conscience, and Bernard Herrmann’s score is one of the best things he didn’t do for Hitchcock. Why Today? : Today is National Read a Book Day.